We actually came in fifth spot in the top 10 best countries to visit in 2015… Not too shabby at all. IRELAND HAS BEEN named as one of the top countries in the world for travellers in the Lonely Planet’s Best in Travel for 2015. Ireland came fifth on the list ahead of the Philippines, St Lucia and Morocco – with Singapore taking the top spot. 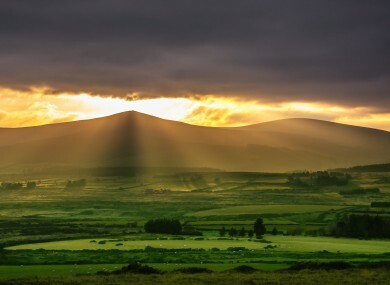 Ireland is stunningly scenic, its traditions – music, dance, whiskey and beer – firmly intact and the cosmopolitan, contemporary Irish are just as friendly and welcoming as their forebears were known to be. “The Irish themselves are inevitably at the heart of the best the country has to offer. Attend a traditional music session in a small pub in County Clare. Hook up with a walking club and do a little cross-country ambling on a soft Sunday afternoon. The destinations are selected because they meet certain criteria; it could be that there is something special going on that year, that there’s been recent development and a lot of buzz about the place, or that we think it’s up-and-coming and suggest travellers visit before the crowds do. Lonely Planet’s Best in Travel 2015 also contains 16 travel themed lists, from the best value destinations for 2015, to special anniversaries, unforgettable family travel experiences and the best free things to do in 2015. Email “Lonely Planet tells readers that they should visit Ireland next year”. Feedback on “Lonely Planet tells readers that they should visit Ireland next year”.